If I could describe the perfect restaurant to have lunch at that combined fresh, flavorful ingredients prepared and presented in a manner that does not induce a mid-afternoon food coma, Luna Grill would fit that bill. We’ve all have had that conundrum of having a huge appetite at lunch, then over-indulging in food that weighs us down and can be a detriment to afternoon productivity. Luna Grill has a menu full of options that offer healthy yet satisfying options that solve that problem in a delicious way. One of my favorites and a great example of what I’m describing here is their Mediterranean Chicken Salad. It combines chopped all natural chicken, Israeli couscous, tomato, cucumber, red onion, fresh mint, Italian parsley, green onion and feta cheese tossed in a house vinaigrette and served on a bed of lettuce. It’s such a flavorful combination of textures and it accomplishes that elusive appetite quelling yet not over-full feeling that I detailed. I could eat this salad several times a week and be perfectly content but the beauty of Luna Grill is they have an entire menu full of similar dishes. The appetizers are really nice too with hummus, falafel, spinach pie, seasoned fries, sweet potato fries and lentil or lemon chicken soup. The sampler platter is a good way to get a few tastes and textures on one plate including the falafel, grape leaves, couscous medley, hummus and pita bread. Their signature plates include a selection of kabobs, gyros, and seafood options. They all come with a house salad, basmati rice, pita bread, cucumber-yogurt dip, and your choice of carrots or grilled tomato garnish. One signature plate that stuck out is the Cornish Hen on the bone with marinated pieces of tender hen skewered and grilled to perfection. Besides my favorite the Mediterranean Chicken there are a slew of fresh salads to choose from. There is also an assortment of wraps that can be filled with any of their protein options and a grass fed burger on a brioche bun. Dessert options consist of mini baklava, chocolate nut rolls and mini cupcakes and there is a full kids menu. If you want a beer or glass of wine that is available as well. And talk about good timing, their Spring influenced menu is launching March 21 through May 21 and Luna Grill is rolling out two new power-packed, light and healthy seasonal offerings at its 12 San Diego County locations. 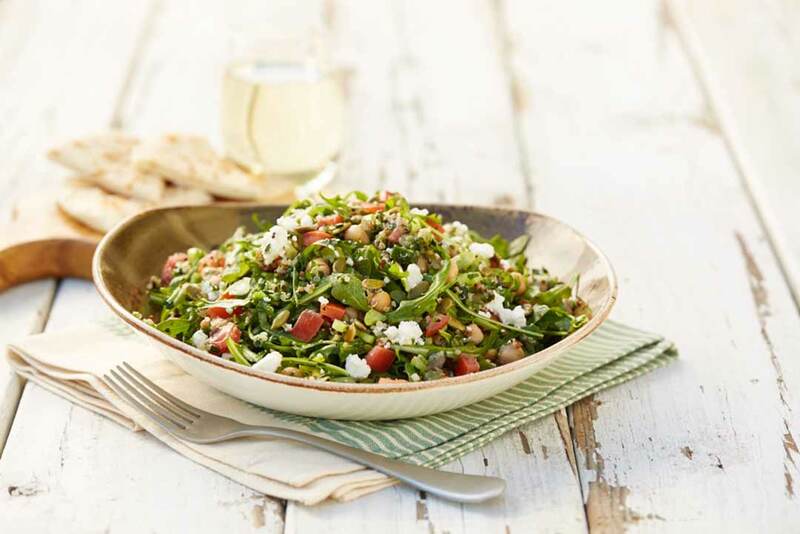 The Spring Arugula Salad includes quinoa as a base for a delicious tabouleh with chickpeas, celery, tomato, feta and roasted pumpkin seeds, all tossed with Luna’s signature house vinaigrette. The Spring Market Wrap is succulent pieces of Luna’s famous all-natural chicken kabob wrapped with the quinoa, tabouleh, arugula, feta, fresh tomatoes and signature house vinaigrette in a nutritious multi-grain flatbread, perfect for those wanting the lightness of a salad but the feel of a sandwich. Luna Grill was founded in 2004, by the husband and wife team of Sean and Maria Trakas-Pourteymour so this is not some new-to-the-scene fast casual copycat. Maria comes from a family of Greek restaurateurs in San Diego so this is nothing new for her. All the food, marinades and sauces are crafted with care daily from scratch and meals are made fresh to order and served to the table with cutlery and tableware. All of the rice, lamb, salmon, ground sirloin and grass fed burgers are non-GMO along with many other items on the menu. They support locally harvested produce, sustainable farming and local businesses whenever possible. That’s a nice touch from a restaurant group and while obviously many of their ingredients can’t be sourced locally, they do it where they can. 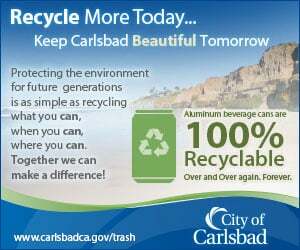 They have 21 locations in California and Texas including La Costa and two locations Carlsbad that are convenient to Coast News readers. Word on the street is there may be an Encinitas location coming soon; I’ll keep my fingers crossed for that one. I did not see any dish on the menu over $14 and most fall in the $6 to $10 range. That is quite affordable given the quality of ingredients and the service at Luna Grill. They have a full catering menu available as well, which would be a perfect option for business lunches or other events. Check out locations and the full menu at LunaGrill.com.